With two six-hour rounds of the 2015 World Endurance Championship now done, and with the Test Day for the Le Mans 24-hour race a little over three weeks away, what must be going through the minds of the executives, engineers and drivers at Porsche? 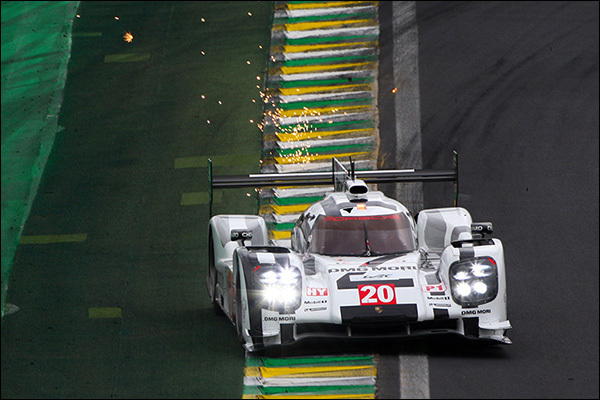 The team started with nothing but a catchy mission statement in 2011, but by 2014 (above at Silverstone) it was ready to compete and to end the season with a deserved win at the six hours of Interlagos in Brazil (below!) was the perfect way to round off the year and left the team in a positive frame of mind as it went into a winter of development, production and testing of a new car. 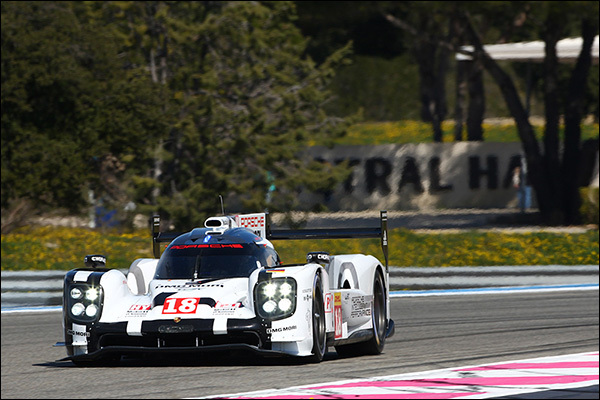 Following two years (2012 and 2013) when Porsche did little else but test the 919 Hybrid and its technology, it could well be argued that the team understands better than anyone else the process and benefits of a test programme. 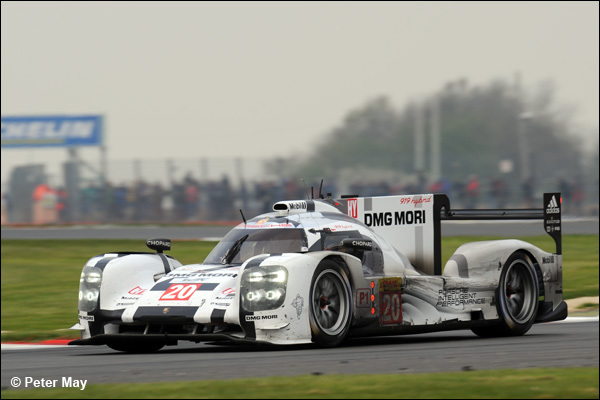 The 2015 FIA WEC regulations put limits on the amount of testing that teams are permitted to do, but according to Fritz Enzinger, Porsche’s VP for the LMP1 programme, this has not affected the amount of testing that Porsche has undertaken. The 2015 car was first rolled out at Weissach in mid-December last year, and by Christmas had completed 2,000kms of testing. The team then went to Abu Dhabi testing in January and thence to Bahrain. They then had a 30-hour test at Aragón in Spain, before the official ‘Prologue’ test at Paul Ricard in March. At this point, the announcement was made that the 919 Hybrid would run in the highest MJ category permitted by the regulations, providing for up to 8MJ of electrical energy to be deployed over a lap of Le Mans. In fact, before the Prologue, the team hadn’t been sure that it would be able to recuperate that much energy from its two systems: one using energy from the brakes and the other the heat from the exhaust. It is a significant advantage to be able to generate electricity when the car is not braking – neither Audi nor Toyota is able to do this. A key element to the recuperation is the driver though, since he has to be aware how much energy is stored and how much is needed at all points around a lap. 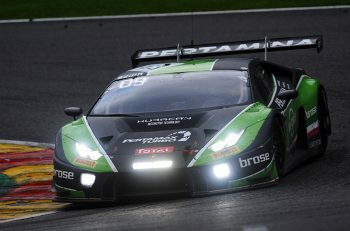 By the time the team arrived at Silverstone on the weekend after Easter for the opening round of the 2015 World Endurance Championship, they had completed more than 30,000kms in testing and hopes were, with some justification, high. 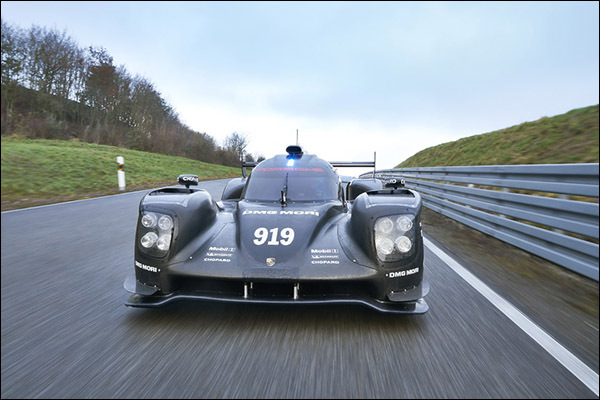 It is clear that the new-for-2015 Porsche 919 Hybrid is quick: extremely quick. If Toyota’s approach to the WEC is characterised by technological development and Audi’s bywords are teamwork and respect, then at Porsche there is a commitment to speed; to being the fastest. In that respect, the team has been successful, thus far. What it has not managed to do is to convert that speed, the 100% pole position record this year (and indeed for the last three races of last year), into a race win. The races at Silverstone and Spa (below) demonstrated the potential, but also revealed the weaknesses of the Stuttgart manufacturer. At both races the team finished second with a car that was beaten; not by lack of reliability, but by a lack of race pace. So far this season, Porsche has led 190 out of the 377 racing laps, more than 50% of the races: but as the folk at Audi are fond of telling me, it is only the lap where they wave the chequered flag that counts. Before the race at Spa-Francorchamps, I spoke at length with Kyle Wilson-Clarke, the race engineer of the number 17 Porsche, and he made it clear that, with the reliability issues of 2014 now behind them, a key priority for Porsche was now to understand the tyre loadings and how they could be optimised. There can be little doubt that the weather at Spa during free practice disrupted Porsche’s preparation for the race. The only dry practice session on Friday morning was interrupted by yellow flags as well. The track surface at Spa is unlike that of Silverstone (or Le Mans, come to that), and insufficient information had been acquired to set the car up for the start of the race. 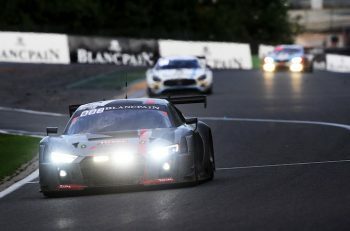 This is where Audi’s length of experience in the WEC is an advantage over its sister company. Porsche is still learning. However, it recognises this fact and it cannot be denied that it is increasing the database on which it has to draw all the time. From here, Porsche is heading back to Motorland for a further test, with two cars, ahead of the official Le Mans Test Day on May 31st. Crucially, there is no tyre usage limitation during the 24 hours and this will help Porsche enormously. I understand that the track surface at Motorland Aragón is very similar to that at Le Mans – at least as far as providing good data to the Michelin engineers is concerned – so Porsche will be working hard to understand how to optimise their car set-up to get the best from the rubber compounds available. But even if the Porsches end up using more tyres at Le Mans, if they are quicker in terms of race average lap times, they will still have an advantage. For Porsche, speed is everything. If they can be fast, it will provide a cushion: to enable them to change tyres more often, to make adjustments to the car to optimise its set-up and so on. Speed has been the main talking point since times first started to emerge from the Prologue. 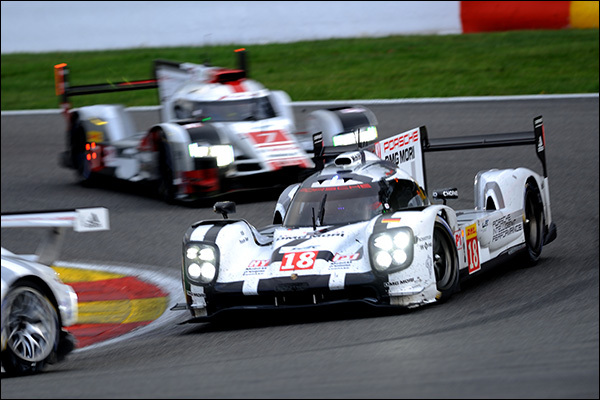 At Spa, Porsche was around five seconds per lap quicker this year than they were last year. At Le Mans, you can expect that to translate into around eight seconds per lap. Folk are talking of a pole position time of under 3m 14s, and it certainly seems possible. Might that third car just be the final piece in their artillery for the war that will break out at Le Mans in June?